It's not an elixir, a nostrum, nor a panacea. We make no claims of it being the sovereign remedy that has the power to cure all ills. Yet Tahitian Noni® Juice has demonstrable value as the most natural health drink, with scientific proof of it’s effectiveness as a refreshment or beverage that is cholesterol-friendly, supports the immune system, increases energy and physical performance, is rich in anti-oxidant properties and supports a healthy cardiovascular system. The source of this purest of health drinks has to be just as original, authentic and historic- the Morinda Citrifolia (Noni)- being used for over 2000 years by the Polynesian people. Tahitian Noni® Juice, supports your immune system, delivers superior antioxidants, increases energy, and allows greater physical performance levels. Tahiti Trim® Plan 40® aids mid aged women with weight management and relieves menopause symptoms. TePoemä® facial care, facial care products hydrate and soften while protecting skin with valuable antioxidants. Moea® skin care, moisturizes and rejuvenate dry skin. Tahitian Noni® Juice is the only Noni juice brand among over 300 companies marketing Noni juice, to have received the prestigious EU Novel Food Approval. It is also the only brand certified by the International Noni Certification Council. Tahitian Noni® Juice is the result of years of market testing and research, after which it reached thousands of people who now recommend it. From hand-picking the Noni fruit, to removing the pulp, extracting, harvesting, processing the juice, packaging and so on, producing every single bottle of Tahitian Noni® Juice takes considerable effort and study. It is a complete Control Process, the secret to all the healthful benefits! Medical professionals studying Noni juice have discovered that it works on a cellular level to support healthy living. The standard of quality set by the unique, exclusive formula and proprietary method used to develop Tahitian Noni® Juice is impossible to duplicate. That is what separates this particular brand of Noni juice from the hundreds of other Noni products that may cost less, but are unoriginal and devoid of the same qualities as our brand. No other Noni product can compare in taste either, Tahitian Noni® Juice created by blending the benefits of pure Noni with the unique flavours of natural blueberry and grape juice. 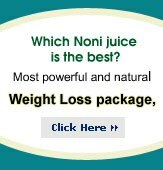 Noni Juice is nature’s blessing to Mankind! Its benefits can vary from person to person, but there will always be advantages. It is the fastest growing alternative health product. For that feeling of inner and outer well-being, try Tahitian Noni® Juice the natural juice that helps you live a happier and healthier life. Beware of the more than 200 imitators! Tahitian Noni International (TNI) announced in January that they would be accelerating the pace of innovation and greatly expanding their business focus in 2012 and would be changing their name to Morinda Bioactives (Morinda) at their International Leadership Conference in April. Tahitian Noni International is now called Morinda Bioactives. Morinda Bioactives is a global, research-driven bioactive products company that was the first to introduce the health benefits of the noni plant—a bioactive-rich, adaptogenic plant, containing iridoid compounds—to the world outside of Tahiti. Morinda Bioactives is the leader in the discovery, development, manufacturing, and marketing of noni-based bioactive products including nutritional supplements, beauty, and weight loss lines. Headquartered in Provo, Utah, Morinda Bioactives is the world-wide leader in bioactive supplements. Which Noni Juice is the Best? Tahitian Noni International did not stop at producing the patented tree-to-bottle Noni juice. 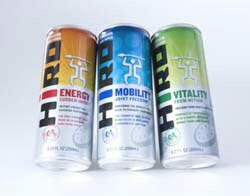 There exists an entire product line under the TNI brand, which is based on the same health balancing natural elements, and unique taste. Some of these products recommended for overall health and wellness include the most popular pasteurized Tahitian Noni® Juice TePoemä®, Tahitian Noni® Leaf Serum, Tahitian Noni® Purified Seed Oil, and Moea® for facial care. Millions of people around the world vouch for the benefits they have experienced at consuming Tahitian Noni® Juice. With a bottle being sold every two seconds around the world, Tahitian Noni® Juice has become a household name! Try it Now! What is the difference between a food plant and a medicinal plant? Food plants provide nutrients that are useful for the human body and are necessary to sustain life. Medicinal plants provide bioactives to improve health. The Noni fruit was used for centuries by the Tahitians as a medicinal plant. Noni fruit was used to support and promote good health of the native islanders of Tahiti to help them through the storms of life. Bioactives are chemical compounds—such as vitamins, minerals, and electrolytes—that produce biological activity in the body. Does Noni contain bioactive compounds? Noni offers a broad range of unique bioactive compounds. These bioactives work together to enhance the health and function of both plant and animal systems. Do other superfruits contain bioactives? Superfruits, like açaí and mangosteen, are food plants. The primary bioactives of regular and so-called superfruits are flavonoids and carotenoids. Unfortunately, flavonoids and carotenoids degrade rapidly when processed, when they are exposed to heat or oxygen, and when stored. Super juices touting ORAC scores, flavonoids and/or carotenoids have limited effectiveness due to product degradation and a lack of bioactives. The simple fact is that food plants such as açaí, mangosteen, or any of the other so-called superfruits are most bioactive when eaten fresh. Iridoids are powerful phytochemicals produced by plants as a self-defense mechanism. While iridoids are found in a large percentage of plants, they are not common in fruits. These dynamic compounds provide a wide range of bioactivity. They’re adaptive, which means they can adapt to an environment to safely benefit the health and function of biological systems. Iridoids have been scientifically proven to eliminate harmful free radicals, maintain cholesterol at already existing normal levels, increase energy, promote heart health, boost the immune system, support DNA, and support healthy brain activity. Do Tahitian Noni® Bioactive Beverages contain iridoids? An adaptogen is a plant that enhances the overall ability of the body to adapt to stress. Noni provides support against a broad range of physical, chemical, or biological stressors. It has a normalizing effect on the body that targets imbalances without affecting properly functioning systems. Noni does all this without producing toxic side effects. What are some of the benefits of adaptogens? Noni sets itself apart from the superfruits of the world as a bioactive beverage because it is a powerful adaptogen—meaning the bioactive beverage helps “keep the body right” or “helps the body stay in balance” as it works with the natural biological functions of the body. Iridoids are remarkably stable. Iridoids possess a simple chemical structure that makes them inherently strong in stressful environments. As a result, iridoids retain their chemical composition even when exposed to oxygen, light, and heat—activities that occur during processing and pasteurization that often degrade or breakdown weaker chemical compounds. The same chemical structure also means that iridoids remain stable over long periods of storage. This stability explains why iridoids retain virtually full potency from tree to the bottle and have a guaranteed shelf life of at least two years. These bioactives are not only efficacious after processing, but are highly bioavailable in the body. How quickly do flavanoids and carotenoids degrade? After just one month of storage at room temperature, the flavonoids in açaí pulp lose up to 35% of their stability; after four months the number jumps to 80%. The half lives for anthocyanins in açaí fruit can be as short as nine days, and within two weeks of processing, as much as half of the active phytochemicals may no longer be active. Rapid flavonoid degradation in açaí and mangosteen juices explains why there is no significant research to substantiate açaí -based and mangosteen-based product claims. Carotenoids include vitamin A substances, such as betacarotene. They, too, are common in many fruits and vegetables and are a major bioactive in Gac fruit. Like flavonoids, betacarotene is unstable and rapidly degrades when exposed to heat and light. How quickly do iridoids degrade? The bioactive compounds in Tahitian Noni Bioactive Beverages maintain 100% of their labeled potency for a minimum of two years in an unopened bottle. And bioactives retain their health benefits even after pasteurization. In recent testing, iridoids were found to still be active in Tahitian Noni® Bioactive Beverages that were nine years past their expiration date. What do you mean by bioavailability? Bioavailability describes the amount of a compound that reaches the circulatory system and is delivered to the cells. A number of factors affect the bioavailability of a substance, including stability and solubility. The more stable a compound, the better it withstands chemical breakdown when exposed to light, heat, air, storage, etc. The more soluble the compound, the more easily it dissolves in liquid. Highly soluble compounds are quickly transported by the bloodstream throughout the body, where they are more easily delivered to and absorbed by cells. The primary bioactives in Noni fruit, iridoids, are highly stable compounds that withstand the rigors of processing and pasteurization. Iridoids are also highly soluble, which means they dissolve easily into the bloodstream, where they can be delivered directly to cells in the body. Are there human clinical studies that prove the effectiveness of Tahitian Noni® Bioactive Beverages? Tahitian Noni® Bioactive Beverages are backed by multiple human clinical studies, and we are the only company in the industry to use retail product in our studies. To date, 14 separate human clinical studies have validated the remarkable health benefits of Tahitian Noni® Bioactive Beverages. Most superfruit juices rely largely on anecdotal support to justify their claims. Scientifically validated plants such as Noni have the weight of legitimate, reputable research behind them. The benefits of Morinda citrifolia (Noni)are validated by real science. Does Tahitian Noni International have its own research facility? TNI owns and operates the only Noni-dedicated research laboratory in the world, led by renowned scientists from around the world. TNJ is the only Noni beverage backed by multiple human clinical studies that prove efficacy. As far back as 1769, explorers recorded that Tahitians, as well as other cultures in the Pacific, used Noni for food and medicinal purposes. The European Union Scientific Committee on Foods has declared Noni and Noni juice as safe, and Noni has GRAS (Generally Recognized As Safe) status in the United States. clinical studies have also established the safety of Noni for humans. In two separate human clinical studies, test subjects were given limited to heavy amounts of Noni. At the end of the studies, researchers found no toxicity or behavorial changes. How do you guarantee the quality of your products? When it comes to quality, our products are unsurpassed. We’re the only company in the industry with complete oversight of its supply chain, so production is carefully managed from tree to bottle. Fruit is harvested at optimal ripeness to ensure maximum nutritive value. Exclusive processing techniques guarantee that the potency of Noni is preserved in every bottle. Throughout the production process, quality controls are used to guarantee the highest standards of quality. Does Tahitian Noni International exercise environmental stewardship? Our commitment to sustainable harvesting, processing, and product distribution practices illustrates how seriously we take our environmental responsibilities. Many of our business practices have been green from the beginning, and we remain committed to finding new ways to reduce our carbon footprint. Our products are all-natural. No chemical or synthetic fertilizers. And once the Noni fruit is ripe, only the minimum needed amount is picked by hand by highly trained French Polynesian harvesters—whose ancestors have taken care of their pristine island environment for the last 2,000 years. We are passionate about our stewardship. So what else are you doing to protect the environment? Since we began in 1996, TNI has created and cultivated innovative practices to remain clean and eco-friendly. We’ve reduced our carbon footprint by streamlining our business costs and shipping requirements. We’ve reduced our utilities expenses and usage. And though we’ve always done our part to protect and nurture nature, we realize that we can do better. So we’re changing. We’re evolving. Wherever possible we will soon be making the switch from glass bottles to aluminum bottles. Why will you be using aluminum bottles? Aluminum is more recyclable than glass. Almost half of all aluminum cans in existence are recycled compared to less than 24% of glass bottles. Where aluminum remains a consistent hot commodity (because manufacturers in various industries across the country can use recycled aluminum for just about anything), the need for recycled glass is declining. As a result, more and more glass is finding its way into landfills—where it doesn’t biodegrade. Are there other advantages to aluminum bottles? Yes, aluminum bottles are lighter than glass—almost 90% lighter. That weight difference lowers the greenhouse gases generated in shipping. Aluminum is easier to ship, easier to carry, and it is much harder to break, crack, or puncture. Are there energy savings by using aluminum? When you recycle one ton of aluminum rather than produce a ton from raw materials, you save 96% of the energy. Using the same parameters with glass bottles will net you energy savings of only 26%. Reynolds Metal Company claims that one recycled aluminum can saves enough energy to power a television for 3 hours and that recycling aluminum reduces pollution by over 90%. When it comes to protecting our environment, we all need to work together. As we make the switch from glass bottles to lighter, more energy-efficient aluminum bottles, we encourage you to recycle those bottles. Help us be better. Join us in reducing pollution and waste. Are all superfruit juices basically the same? Although the superfruit market has become crowded with other products made from açaí, mangosteen, gac, and others, the primary bioactives in these fruits are flavonoids and carotenoids. The more we studied Noni, the more we realized that it is quite different from all of the other superfruits. Noni contains iridoids–highly stable bioactive compounds that produce a wide range of biological activity in the body. Other processed superfruits do not produce the same range of biological activity as does the Noni fruit. Is Tahitian Noni International creating a new Bioactive Beverage industry? Yes. Just like we created the superfruit industry back in 1996, we have launched a new category of dietary supplements: Bioactive Beverages. These are beverages that provide proven health benefits through human clinical studies. Beverages that are stable throughout their entire shelf life-with specific benefits that can be measured, quantified, studied, and reproduced. Tahitian Noni International created the superfruit industry–we will now create a new category of Bioactive Beverages. Is Tahitian Noni International the leader in Bioactive Beverages? Tahitian Noni International is the worldwide leader in Bioactive Beverages. No one else has a bioactive beverage with as many proven benefits as TNI. Are the aluminum bottles and quad liners safe? The liners used to protect our Bioactive Beverages in the 4 Liter Quad and 750 mL Bullet aluminum bottles are safe. These packages have been carefully reviewed by our research and development staff to ensure they meet TNI’s high standard for quality and safety. These packages have also been approved by the Food and Drug Administration for use in the beverage industry. The liner used in the 750 mL Bullet bottle is BPA free and prevents our Bioactive Beverages from ever coming into contact with the aluminum bottle. These new package options are significantly more recyclable than glass, have a significantly smaller carbon footprint than glass, and represent a solid waste reduction of up to 95% compared to glass. Please recycle. Due to the acidity in the bioactive beverage, will that penetrate through the liner of the aluminum or the liner in the quad? Our Bioactive Beverages do not penetrate the liners used in the 4 Liter Quad and the 750 mL Bullet aluminum bottle. The pH level of our Bioactive Beverages will not degrade the package components over the product’s 2 year shelf life. Please recycle. Why are the bottles dented? Will that affect the safety of the product? The 750 mL Bullet aluminum bottles are filled hot to ensure that the product is sterile. When the product cools, it creates a vacuum (the bioactive beverage contracts) which can make the bottle dent if it is pushed in on the sides. The bioactive beverage in a dented bottle is still safe to consume. How many iridoids are there in other TNI products such as n-core and natureborn? N-Core has 30 mg of Noni and blueberry iridoids per 2 ounce serving. Any TNI product that contains Noni fruit or Noni leaf extract will contain iridoids. Be it Tahitian Noni® Juice, the Energy, Mobility, Vitality, Thermo or any other TNI products, they are all completely natural with no negative side effects. Each drink from these products line offers a variety of benefits including joint support, immune support and energy. Morinda citrifolia, more commonly known as Noni, Indian mulberry, beach mulberry and more, grows extensively across India and Pacific islands, especially Tahiti. Found growing as a shrub or small tree in forests or even rocky or sandy shores, in fact anyplace where there is volcanic soil, clean air and pure water, Noni has been subject to considerable scientific study.